Afro Samurai gives us not only breathtaking action sequences and eye-catching animation, but also one of the coolest warriors in anime and the ultimate father figure. 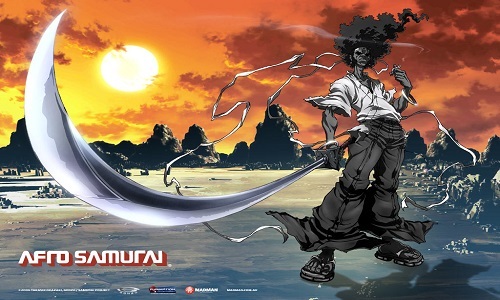 Meet Afro Samurai and Sword Master. Let's get to know these two unique characters a bit better and explore their powerful bond. This article contains MAJOR SPOILERS! Please be forewarned! 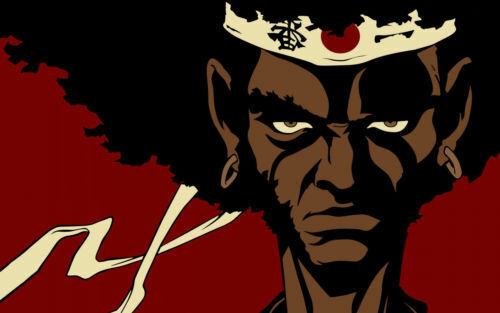 There is probably only one word to describe the main protagonist of Afro Samurai – cool! Everything that he does has a sense of coolness to it: his swagger, the way he yields his sword, his fighting technique, his ensemble, and especially his avant-garde afro from which he gets his name. Underneath the cool exterior lies a raging soul out to avenge his father’s death. As a young boy, Afro witnesses his father killed by the arch villain of the series, Justice, as the two battle for the No 1 headband (the title of the most fearsome warrior). This memory haunts Afro, driving him to become one of the fiercest warriors in the world and owner of the No 2 headband. The path that he walks on makes him suspicious of everyone around him. It is a cold, lonely existence, but one that Afro Samurai has accepted. Afro believes that only when he kills Justice will he then be at peace with himself. His mission to own the No 1 headband paints a target on his back as one assassin after another comes after him. 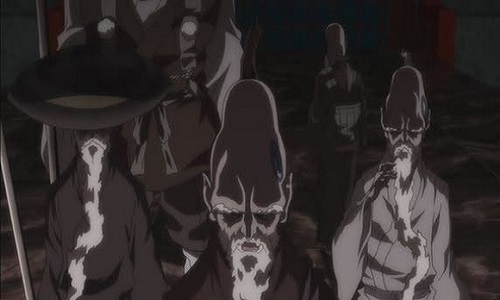 The Empty Seven, a clan of six monk assassins, launch an all-out attack to stop Afro. They even recruit Otsuru, a childhood sweetheart of the samurai, to get close to him and finish him off. Her inability to do so results in her eventual death. The clan then builds an evil-droid Afro that matches the samurai in every aspect. But the cool warrior that he is, our hero kills the evil version with some slick sword work. 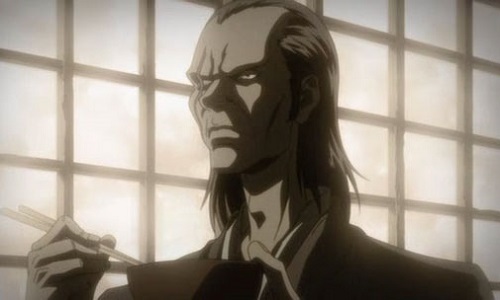 Afro Samurai did not become "The Afro" in the blink of an eye. All great warriors need a master to guide them, to show them the way. Sword Master does just that for our hero. Taking the young, scared boy who had just witnessed his father’s killing, the skillful Sword Master not only becomes the boy’s samurai master, but also a father figure to him. The wise master brings the almost-dead boy back to his dojo and then looks after him like a special pupil. He trains the boy hard, instilling in him the discipline required to be an expert fighter. Afro grows up practicing the sword and other fighting techniques day and night. However, he loses touch with his emotional self, shutting out any love or warmth, and instead, focusing on becoming the most fearsome samurai master. When Afro graduates from the dojo, Sword Master tries to dissuade him from walking the path of vengeance. But Afro’s lust for revenge is such that he goes up against his own master to claim the No 2 headband, killing him in the process. This battle scene is the crux of Afro Samurai’s emotional arc. 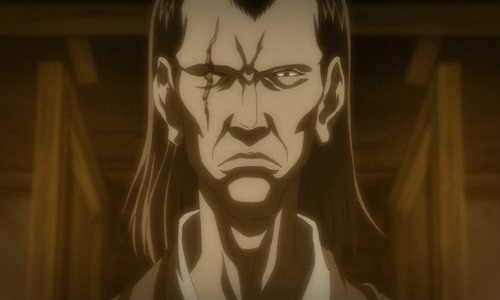 It also reveals the cold-blooded and unwavering determination of the samurai to get his revenge. Revenge has never been this cool. Afro Samurai does not hold back any punches with its content. The anime is a must watch for any and all hard-core action anime fans. Mirai Nikki (The Future Diary) is based around the 12 contestants of the Future Diary Tournament. Each character has their own distinctive background, personality, and future diary. Let the games begin! Gatchaman Crowds is an interesting take on an old formula. The Gatchaman Crew this time around is a very interesting bunch. take some time to get to know them.